Loving my BlenderBottle like crazy. You see, I'm very much addicted to fruit shakes. I love them in all kinds of fruits. Most especially if they are avocado or melon! I like them with milk or with just crushed ice! When I got my Blender Bottle, I immediate made melon shake! Blender bottle isn't really for actual fruit shakes. It's actually for making protein shakes, juices, salad dressings, batter mixes like pancakes and crepes. It's also for sauces, marinade and gravy. It ensures there are no clumps and lessens the trouble of whisking and mixing products in a bowl! Leave it up to me to make use of something more than what it's suppose to do. Since I dislike using my blender (Oh!Gawd! How I hate it! I hate cleaning it!) I went ahead and made me some melon shake with my BlenderBottle. Pour all ingredients inside the BlenderBottle. 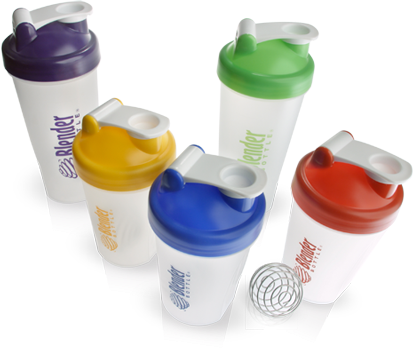 Shake your BlenderBottle like nobody's biz! Since I wasn't a diet phase when I made this (it was one hell of cheat day), this is my dessert! :) Oh so yummy, yummy Melon Shake! 20 oz. bottle makes 2-3 cups already! Can drink off of the BlenderBottle for convenience. Pour spout makes transferring fuss and mess-free. I can make desserts and breakfast meals faster! I wish it were microwable... but yeah, right.. who shakes anything hot. The magic is because of the BlenderBall whisker that is surgical-grade, stainless-steel that won't ever rust. I must admit, I was a bit skeptic. But seeing how it whisked the softened ice cream I used for my Orange Dream Shake and how there was no clumps in my pancake batter, I became a believer! It's acutally a lot like a whisker but sturdier looking, you can even press is and it would look like "katol" and it will spring back to its original ball shape. And it's so easy to clean! This is definitely a great gift for your gym-buff BF or friends especially is they are using protein shakes because many have troubles with lumps and clumps of the protein powder. I believe this is also a good thing for mom's when preparing baby foods like cerelac or something. Seriously if you like shakes and coffee frap type mixes, this is for you! This is avialable at Toby Sportshouse and Dimesione. i didn't know this..have to go to toby's na! i love Avocado shakes too! wow i suddenly remembered am missing posting on my food blog when reading this entry lol. i think this has another benefit - arm exercise for when you "shake the bottle like it's nobody's business" haha! this product is super awesome! :) there's even a recipe book available and can check for recipes online! it really works! Php 699 and Php 799 (there are two sizes) - Chris Sports, Dimensione!